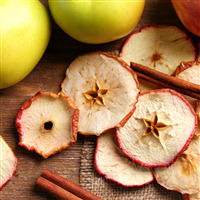 Apple Pie Fragrance Oil is a mouth-watering blend of apples, cinnamon, brown sugar and fresh baked pie crust. COMMENTS: Very good OOB and throw in soy votives. COMMENTS: This is a fun scent for soap. It really smells like apple pie. COMMENTS: I am learning how to make cold press soap. I used this fragrance to make 90 bars of soap for Christmas gifts this year. Everyone loved the scent. 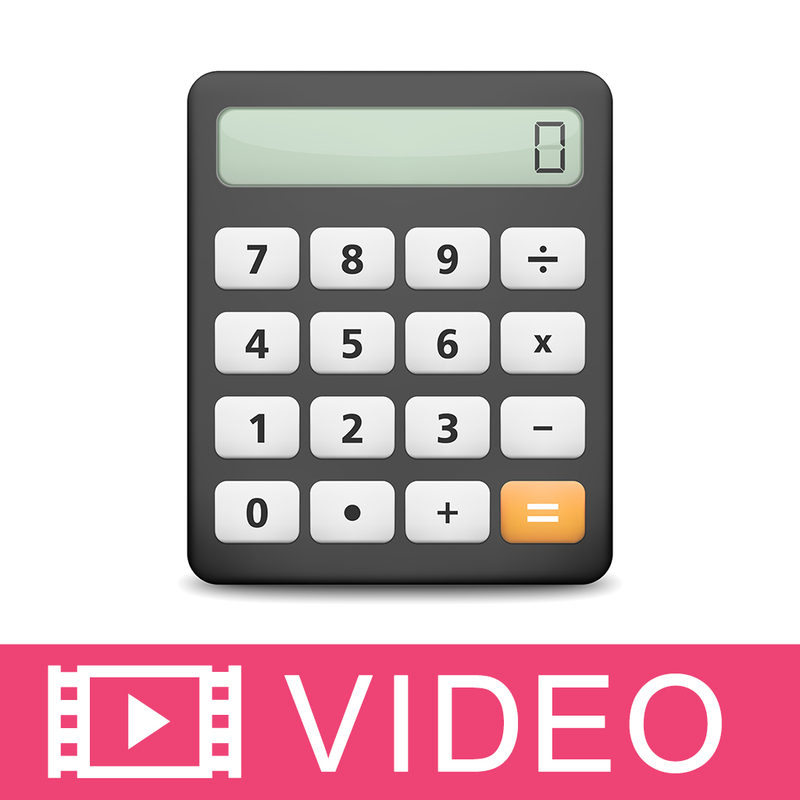 I love the use of the calculator to figure out how much to use accurately. COMMENTS: Apple fragrances are tough for me. I am sensitive to certain fragrances and suffer from migraines, certain scents trigger my migraines. Apple fragrances are one of them, so I have learned to plan an entire day around using them. This is the only apple fragrance that doesn't trigger a migraine! I waited to leave this review, until I was ready to order another bottle. 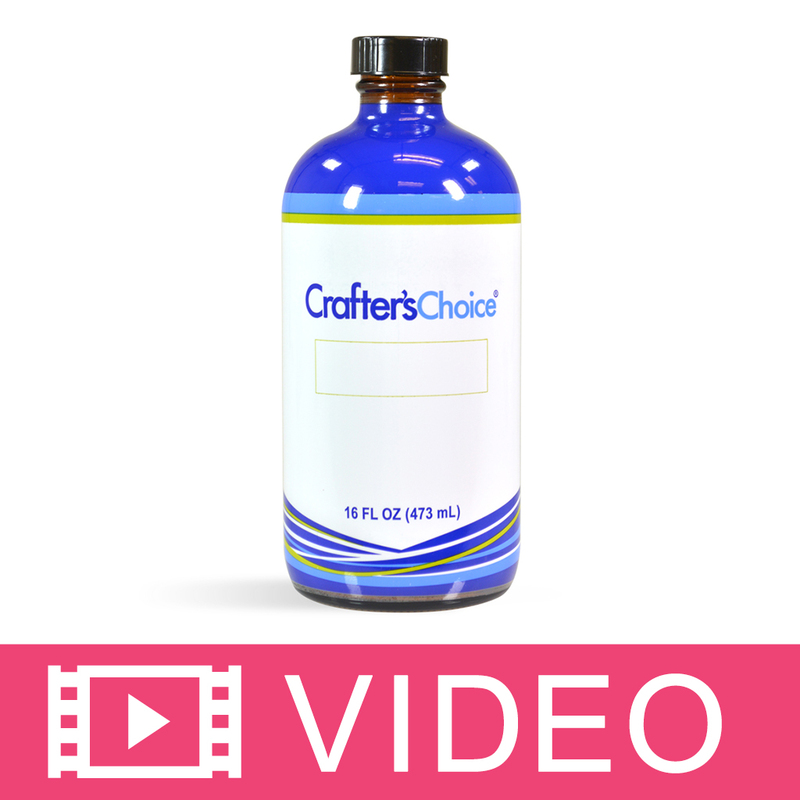 This fragrance behaves perfectly in cold process, no acceleration, ricing, or separation. Definitely worth ordering! COMMENTS: I was a bite dissapointed with this fragrance. I use this with your three butter premium melt and pour and the scent of the apple you can hardly smell. I had to add little bit of cinnamon oil and another apple fragrance to pull out the smell some more. So I have to rename my soap cinnamon spice instead of apple spice soaps. Oh well, don't think I be reordering this one. • The apple scent needs to be stronger. "smells just like Apple Pie"
COMMENTS: When I make my product my house smells like I can bake!!! lol I love this scent and so do all my customers.. Seems to be a favorite with the kids too! COMMENTS: Excellent strong scent. Several customers threatened to take a bite. Was a bit hit as red, white, and blue for 4th of July. "Smells good enough to eat"
COMMENTS: It is amazing how much this scent smells like the real thing. Couldn't be happier! "smells like fresh apple pie with a spice twist"
COMMENTS: This is another one of my customers favorite for the fall season.This apple pie has fruity tones with some spice. It does not speed trace the fragrance oil is easy to work with. COMMENTS: No acceleration, or ricing in my soap batter. Smells great and the scent holds very well at 4%. "Repeat Buyer of this fragrance"
COMMENTS: This Fragrance is great can't stop smelling it. It worked great in CP soap and the scent is as strong as when I made the soap 2 months ago. Will be buying a bigger bottle. COMMENTS: This scent smells GREAT! I did not have to use much of it to smell the fragrance so a little bit went a long way. It was a seasonal scent for my fall collection. COMMENTS: This smells exactly like apple pie. You don't need to search. This is the one. I'll buy a bigger bottle. COMMENTS: At first this item smells nothing like apple pie out of the jar but in the salts and fizzies it smells a little closer to fresh baked apple pie but still a bit much cinnamon. COMMENTS: I received this at a discounted price. Although it smells nice, I am not sure what to do with it. I do not make candles so still pondering on how to incorporate it into a different product. Maybe in a sugar scrub, so we will see. COMMENTS: Works great in M&P. Plan on trying it in smelly Jellies also. "Smell fresh out the oven!" COMMENTS: Didn't know what to expect with this but it was a pleasant surprise. COMMENTS: Easy to use in CP soap. No acceleration, no discoloration. Light fragrance, so you might want to use a bit extra. COMMENTS: Smelled just like my Grandmas house!!! I’m new to soaping and making bath bombs so I’m learning. I used this product in my Bath Bombs I colored them red so I didn’t see a color change. I did shrink wraps my bombs and gave a few to my sister, daughter and neighbor. They all said when they opened the bath bomb to use they did have a strong pleasant scent. I also used the fragrance oil in a 2 lb loaf of melt and pour, again the scent filled my house of the memories of my Grandma when I was a child. COMMENTS: This apple pie fragrance oil smells wonderful. It isn't a very "spicy" fragrance like a pumpkin pie with spice. It has just a hint of spice. I will order again. I have not used it in soap, so I do not know if it retains scent. COMMENTS: This sells extremely well in a variety of products. Customers are always asking for it. It smells great. COMMENTS: Apple pie, help scent well. COMMENTS: I used this scent in CP GM soap the other day - we are about a week into cure and the scent is amazing. Holds scent amazingly and only discolored slightly to a light tan. This might just be one that I keep year round. COMMENTS: I typically do not like fall scents like apple pie fragrance oil, but this one was different. I absolutely love this fragrance and used it to make candles. The scent is not overwhelming but gives off the smell of a freshly baked apple pie. I will definitely be purchasing again! COMMENTS: Nice comforting Fragrance. True to the name, behaves well in CP soap. 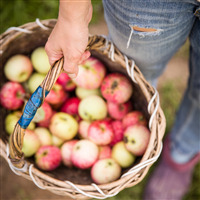 "Apple Pie Fragrance Oil #475"
COMMENTS: Love this FO it is another addition to my Fall Fragrance line for my Soaps, Scrubs, Massage Oil, and lotion Bars. This FO has that fresh apple scent that leaves you feeling like the Holidays are just around the corner. You will not be disappointed with this scent and I highly recommend it. 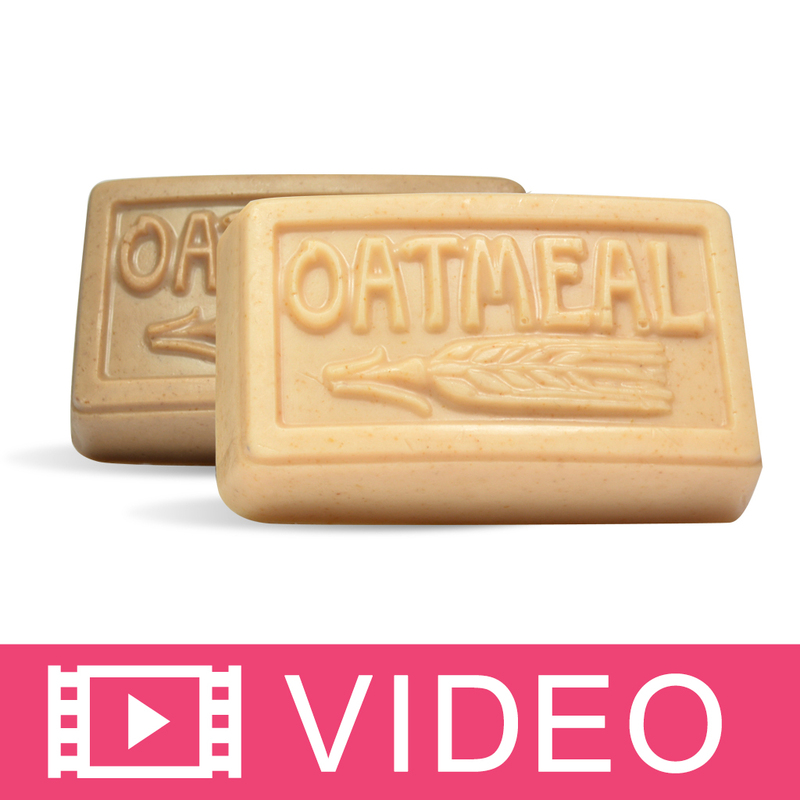 COMMENTS: This made my fall soap smell soo good. COMMENTS: This is sweet. As a lotion you can smell the sweet cinnamon. Its a great scent for the fall. Its a nice alternative to everyone using pumpkin. Apples say fall too. "This smells Yummy and Eatable"
COMMENTS: This smells so good immediately out of the bottle and in my soaps. I made Popsicle Soaps and Cupcake Soaps and everyone wanted to eat them. It smells yummy and delicious just like the real thing! "This fragrance sticks great in CP"
COMMENTS: Very happy with this fragrance. Hard to find an apple scent that sticks after full cure. 8 weeks into cure, this still smells like hot apple pie to me. Very happy! COMMENTS: WHOA this was way better than I was expecting! Strong and not too sweet, spicy and clearly apple pie. Came through beautifully in HP soap, thus far has held strong through curing time. You can pick up all the notes, butter, crust, apple, spices and a hint of sugar. This might be one of my all time favorites, I am 100% impressed with this. Nothing artificial about this scent. COMMENTS: This smells so good. I have never used an apple fragrance before and this will be a go to! COMMENTS: I love this fragrance! Smells just like fresh baked apple pie. Combine with a little caramel fragrance and it's heavenly. I'm sure this one is going to be a fantastic seller this fall. "nice fragrance for the fall"
COMMENTS: I love the smell of this essential oil. It smells just like apple pie and it adds a great scent to the diys during the holidays. COMMENTS: This is a bright, sharp apple smell. Get ready for this one! Granny Smith all the way! COMMENTS: Smell is spot on! I had finally run out of a cheap-o apple pie scent that I had bought at a local craft store to try out in a pinch, and ordered this one to replenish, not expecting a difference. BIG difference in a great way! I did not know what I was missing. So glad I got this. "The hard part was figuring out what to make first!" COMMENTS: I adore this scent. It reminded me of fabulous fall get togethers and grandmas apron strings. Truely a scent to make your inner child happy! • The scent was just right! "This is a great product, men love the soft scru"
COMMENTS: This is a fantastic fragrance, my friends are thrilled when I give this in sets.and is a great seller. COMMENTS: PERFECT Apple Pie FO! Apple-y, warm, and spicy. I'm so impressed with this one! 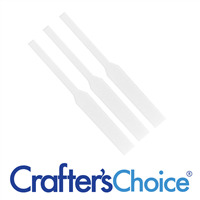 "Crafters Choice™ Apple Pie Fragrance Oiat scent"
COMMENTS: Great Scent for all my products! COMMENTS: This is one of my favorite fall scents. Its has a great cinnamon-apple balance. I would love to put it in a candle some time! COMMENTS: I love love love this oil. I just tried it out and now my entire house smells like a fresh baked apple pie! I also would like to say I love the bottle, it is so much easier to use than where I had been getting my scents from. COMMENTS: I loved the amount of fragrance that I get from product. COMMENTS: This scent is reminiscent of fresh apple pie straight out of the oven, with a scoop of vanilla ice cream on top. Love this one! COMMENTS: Smells just like apple pie! Delish! COMMENTS: Perfect fall fragrance! I used for fall soap and carpet powders and room misters! Lovely fall scent! 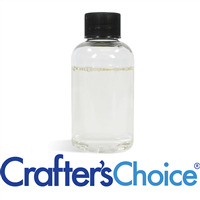 "Crafters Choice Apple Pie Fragrance"
COMMENTS: Smells like the real thing !!! "Huge hit as a first birthday party favor! " COMMENTS: Made apple pie soap for the baby's first birthday party, now people are asking where they can get more! I'd say it was a huge success, the smell was absolutely incredible, like fresh apple pie straight from the oven! COMMENTS: We used this in cold process soap. The scent was amazing! It did slightly speed the trace up, but knowing that we worked with it and it worked great for us! COMMENTS: This stuff smells awesome. "Apple Pie Fragrance is Amazing!" COMMENTS: This fragrance smells WONDERFUL!!! Chose to add ground cinnamon for color swirled in to the plain batter, and it looks amazing! The fragrance oil did not accelerate the batter at all. It really looks like the apple pie filling. I am very happy with this fragrance. COMMENTS: I like this scent its not over powering and smells like my dads homemade apple pie. COMMENTS: I wish you could smell the Apple more, we decided to add more apple to help this out. Otherwise we do like it, soaps nicely. COMMENTS: wonderful spice scent especially cinnamon. The apple doesnt come through very well though, but I love the scent and will use again. Behaved very well. No acceleration or ricing. COMMENTS: This is a great apple pie fragrance. I about sold out of it at a recent craft fair! 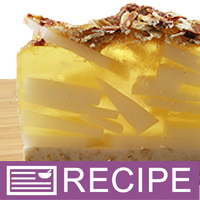 "Apple Pie Fragrance Oil 475"
COMMENTS: I make a lot of soaps and my customers ask for some unusual fragrances I made a baked bread soap with apple pie on top sold very well and the customer that asked for it loved it. 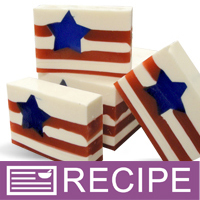 She wanted a clever kitchen soap with a warm fragrance. COMMENTS: Performs well in cold process soap. Not quite the scent I was thinking it would be, but it's wonderful nonetheless. "Good Scent for Fall Soaps"
COMMENTS: This is a very light scent, but does smell like apple pie. I'm making cold process soaps for fall with this scent. COMMENTS: I ran this buy my apple pie expert (my 25 yo son) it's his favorite and he was wowed. I have used this in soap and candles/tarts and it smells so realistic! Glad I purchased the 1 lb. bottle! COMMENTS: I love this oil! Takes me back to my grandma's kitchen. I use it in sugar scrubs and add cinnamon and nutmeg for extra spice. Definite customer favorite! COMMENTS: The scent was really strong, but it was a little artifical smelling. COMMENTS: This smells just like apple pie- almost good enough to eat. My apple pie bath cookies are a big hit with my customers. COMMENTS: I really like this fragrance. However, the only thing I would change about it is possibly throwing in a little more apple. With using it in my soap I just notice it smell a little more on the cinnamon spice kinda side. COMMENTS: Smells so much like apple pies I want to eat it! COMMENTS: This smells just like Granny Smith Apple Pie! COMMENTS: Simply smells like you just took a pie out of the oven. It's a beautiful Fall scent!! COMMENTS: I love this in my autumn scent collection. I had no problems using this in my CP soap. I will be keeping this scent around. COMMENTS: I love this as a seasonal autumn scent! COMMENTS: Nice apple pie scent. "Smells Fresh from the Oven!" COMMENTS: This is a great basic apple pie scent. Not too sweet, and not too spicey. I like to use at maximum rate for CP soaps as the caustic nature of the sapponification process can cancel out some of the scent over time. Love it! COMMENTS: This scent smells just like a fresh apple pie out of the oven. It is the perfect scent if that is what you are looking for. My customers LOVE it! COMMENTS: Absolutely the scent I was looking for. It is perfectly apple pie. I am so please. My house smells like I have been baking. I will definitely buy again. "Smells like apple pie to me"
COMMENTS: I wanted to add a fragrance with an apple and/or cinnamon scent. This fills the bill. Its not too much and it smells like a freshly baked apple pie to me. Many of my customers have enjoyed this. 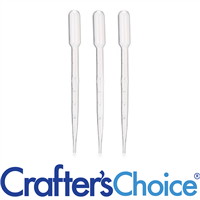 I especially like this when used with my baby buttermilk base. This base has a slight scent of what I think smells like unbaked biscuits, which combines well with the apple pie fragrance. COMMENTS: I make cold process soap with this fragrance, and it is wonderful. Customers rave over it, and I do too! "Smells just like an apple pie!" COMMENTS: Everyone comments how real the scent is! Great for the holidays! COMMENTS: I really enjoyed this scent and will purchase again! COMMENTS: Smells just like it should. I put mine in a melt and pour soap shaped like an apple pie and one that was an american flag! People love it! 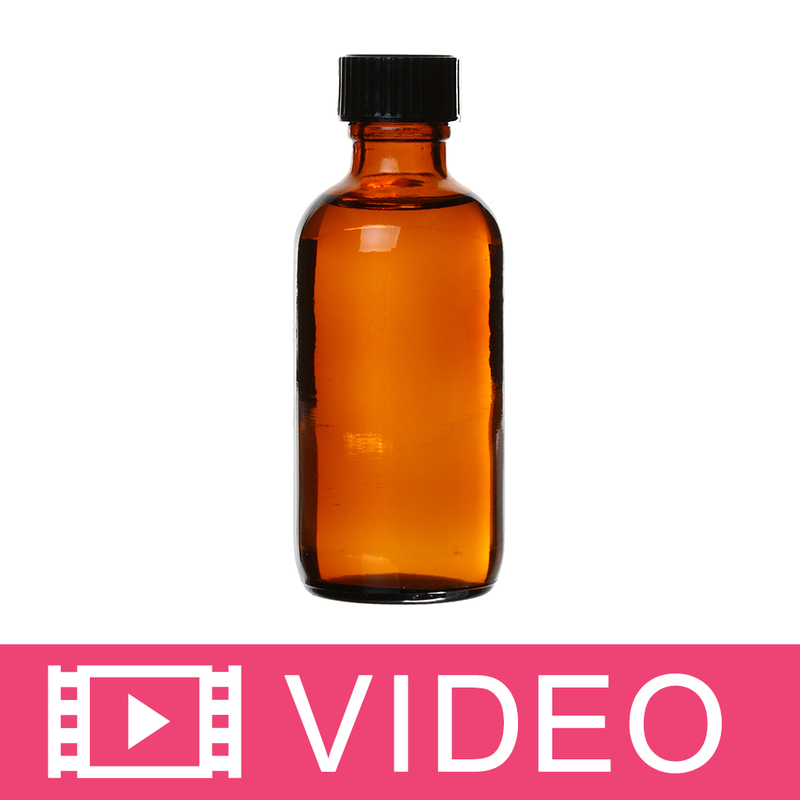 COMMENTS: I love this fragrance oil in my hot process soaps. When I use it, it has my entire house smelling like I have been in the kitchen all day. It is that realistic and I am sure that you will love this one!! COMMENTS: This scent is just perfect, smells like the real thing. I use it for alot of different soaps. COMMENTS: This is a great fall or winter scent! COMMENTS: I just used this scent for the first time in cp soap. Oh, my! It smells so much like apple pie. I could eat it. COMMENTS: This does not disappoint. It seems you smell the cinnamon separate from the apples/crust, which may be why some commented too much cinnamon and others not enough. I think it is just right and will re-order. COMMENTS: I used this in my soy candles and it smells great! 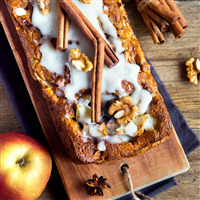 It has more a a spiced apple smell than an apple pie scent, but still great! COMMENTS: Perfect apple pie scent. Can't wait to try this in soap. COMMENTS: This scent is amazing! I made apple pies in the morning and then I made soy candles using this scent. You could not tell the difference. Great scent throw in soy, makes your mouth water! Thanks WSP! COMMENTS: I just made some soaps using this fragrance and I LOVE it! Smells like apple pie, not too sweet, not too tart and not too spicey. Will definitely buy this again. "Nice Apple Pie scent in Soy Candles"
COMMENTS: Nice blend of autumn apples & cinnamon.. not too heavy on either. Nice throw in soy. Very popular in tarts. "Smells like the real thing!!" COMMENTS: Very happy with both cold and hot throw. COMMENTS: You're tried the rest, now try the best. This is a delicious apple scent. My nose is smiling. COMMENTS: This is the best apple pie scent that I have ever used , works great in the smelly jelly crystals and soy candles , AWESOME SCENT !! "Great Scent for Soy Wax"
COMMENTS: I really like this scent for Soy Candles. It smells like someone is baking! I've also used this scent in soap with great results! "Smells just like a pie"
COMMENTS: This made me start making pie soaps just so I could play with this fragrance. "Is this fragrance safe to use for a customer with a cinnamon allergy? I would like to clarify before I begin selling my soap." Staff Answer As indicated on the SDS sheet (see document tab), section 3 - this product does contain real cinnamon in the formulation. "This would be such a great fragrance for lip balm. Why is it not recommended for lip balm or lip scrubs?" Staff Answer The ingredients are not approved for lip contact. "Does this scent discolor in CP Soap and if so to what extent Thank you"
Staff Answer We recommend reading the Customer Reviews. There is only 1% vanilla so it should not discolor that much. One customer commented that it "only discolored slightly to a light tan". "Hi, I am just wondering if anyone has recently received this fragrance and it smells like Lysol? " Staff Answer This is not a question for this area. Please contact our Customer Service Department at 800-359-0944 with this issue. Thank you.